I'm having a problem with the background color of the mail list in the mail app. It's a black background with grey letters. 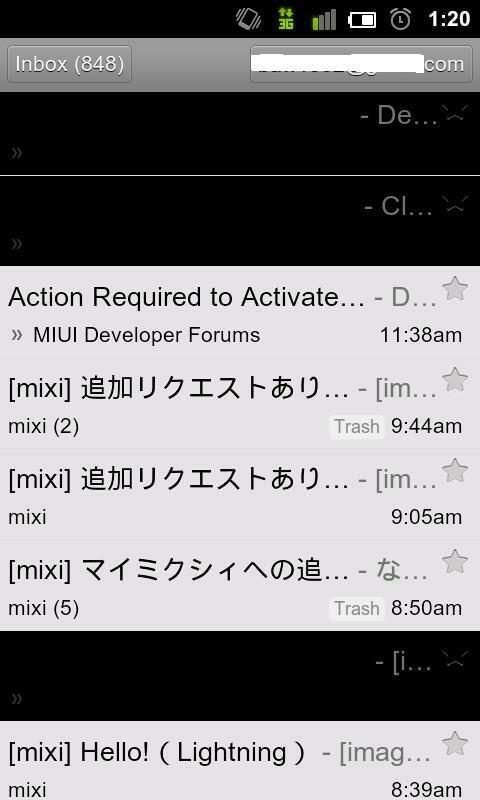 The Gmail app is using a white background with black letters, what is much better. How to change this? Now the mail is almost unreadable. Yes I got the same problem. I can't read correctly my e mails and that's very bad! I also concur. When scrolling down through my gmail messages, the emails that have not been opened/read are blacked out. Which...idk is not a major problem but annoying at times. Hey actually quite the contrary for me, My gmail was in compatibility mode, when I turn it off it works fine and the black bars are gone!